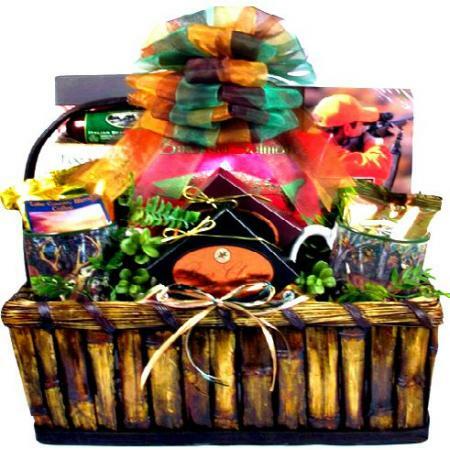 The ultimate hunting gift basket for anyone who likes to hunt. Arrives filled with snacks galore and hunting themed gifts for hunters. This gift will hit the mark for the hunter in your life! It features a virtual survival kit of goodies and gifts for them to enjoy! From gifts such as hunting mugs and a large book filled with 1001 hunting tips - to an abundant supply of delicious snacks for them to enjoy at home or on their next camping trip - this basket has it all. Whatever the reason or season, this handsome, over-sized hunting themed gift basket makes a wonderful gift!